It comes with the screws (and the specialized power/sata cables), so all you need to do is mount the 2.5" drive to the case and attach the cables. I did end up buying four more of these and all of them tested out fine. I ordered them without disks or RAM, and opted to install my own SSDs, though, so I could get the slightly newer Phison controller. would the MSATA drives that come with these things be OK? i can get 2.5"
You can do slightly better buying your own SSDs; you can scroll up to see my results. Depends how much you care about disk perf. Is the stuff they include “good enough”? I think for most uses it is. But you can do a bit better for not much extra , if you want to squeak out a bit more disk perf. For lowest possible power draw? Something with Intel Atom, but it won’t be super fast. It is very hard to find – I had to ask the vendor! That works perfectly – thank you so much! Would the same model still be recommended? I’m looking for something to initially start out as my home router. I’m also interested in something like this for the living room? 50C at stress is fine, but what would their temperatures be around for normal use? Sure, these or something very much like them would be great. Get a Skylake CPU if you can though, should be available now, and make sure it is passively cooled with no more than a 15w TDP. The vendors that stuff 30w or even 40-60w TDP CPUs into passive enclosures are nuts. 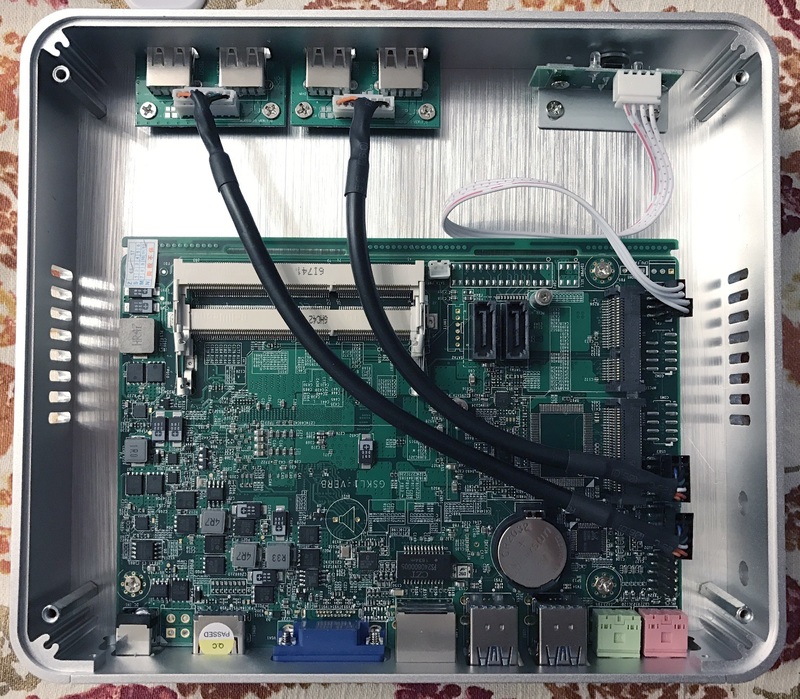 Will this boot without an mSATA drive? I’m thinking of installing only a SATA drive and leaving the mSATA/mPCIe port empty. The spec sheet shows a “Configurable TDP-up” of 25w at 2.4ghz. Is this something to be worried about? Will this run too hot to be passively cooled, when it’s under load? Intel® Core™ i5-6200U Processor (3M Cache, up to 2.80 GHz) quick reference guide including specifications, features, pricing, compatibility, design documentation, ordering codes, spec codes and more. Should be fine on all counts. Out of box tdp is 15w. Does anyone know why the Kaby Lake refresh of this fanless computer is slower than the Broadwell one? Even the faster Kaby Lake i7 7500U is significantly slower than the i5 5257U that’s currently in my system. I’m experiencing some issues with sound lag while watching a 1080p 60 fps Youtube video and expected better performance from the newer models. I suspect that would be a video or sound driver issue more than CPU. What does Task Manager say when viewing the video, for CPU usage? Make sure you download the latest Intel video drivers (for onboard video). I ordered the Kaby Lake i5-7200u version of this box for testing. Same exact processor, just 2 generations ahead. Should be around 20% faster factoring in the additional clock speed and Skylake architectural improvements. There’s only one network port in this model, the VGA port replaced the 2nd network port. If you remove the wireless card (as I did in the above picture) you can in theory install a mini pci express network card. Otherwise it’s about the same design. 32GB RAM does work, but you need DDR3 SODIMMs of 16GB size which are quite expensive! I stuck with 8GB + 8GB. They seem to have gone away after I installed the intel-microcode Ubuntu package, which keeps the CPU’s “firmware” up-to-date. Hey. Just want want to warn anyone from using eGlobal. I got their computer, formatted it to put Linux on it, and then on the next reboot it would only boot to a black screen. I took a video and sent it to eGlobal, and then they asked me if I’m able to solder a new bios chip onto the motherboard to try and fix it. There’s no way I can do that kind of delicate soldering, so they had me mail the motherboard with ssd & ram back to them. They mailed it back to me and used the cheapest mail option, China Post to USPS. The package was lost. Now they’re ignoring me. Thinking of taking them to small claims court, not sure what else to do. I knew the risks going into this, and thankfully I can afford to lose $500, but just want to put this up as a warning to anyone considering this. behavior. 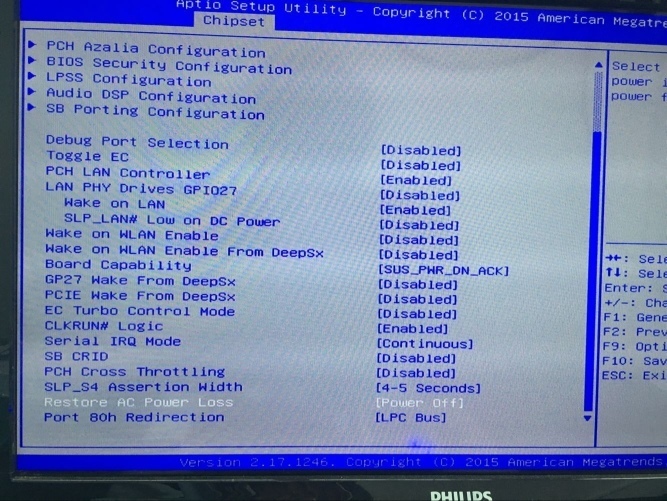 So you could not boot even into the BIOS?